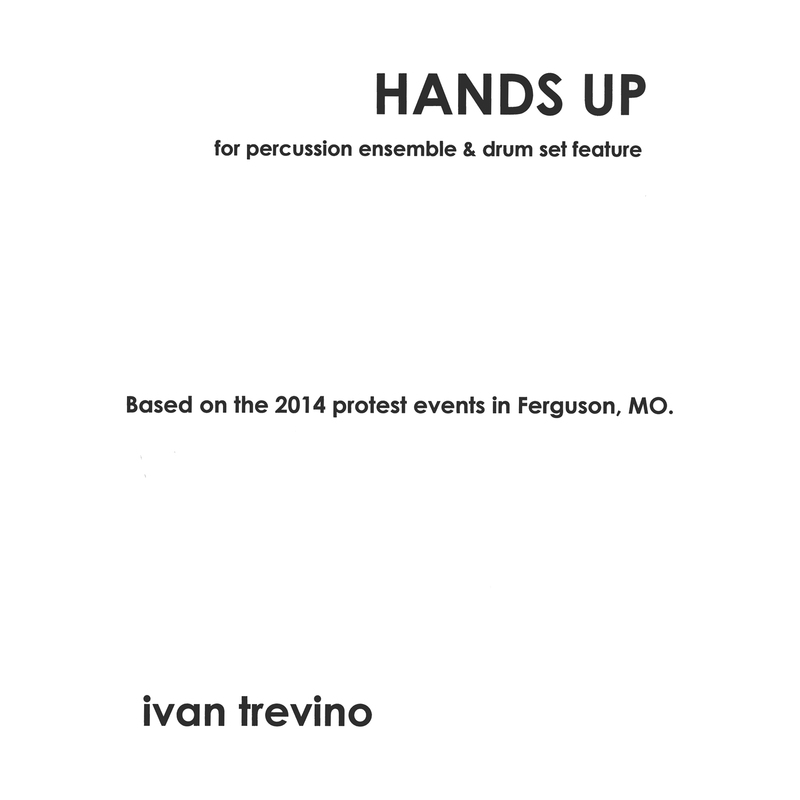 Hands Up by Ivan Trevino attempts to capture the feelings of protest in Ferguson, MO in 2014. 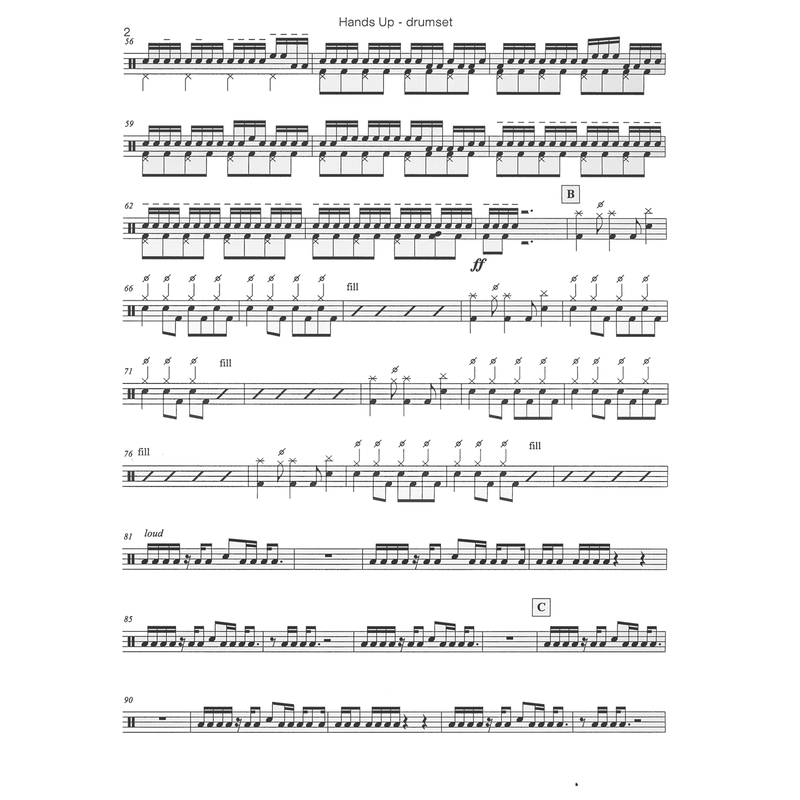 Featuring amplified vocalization (like in Cage's Living Room Music), the text was taken from news interviews and twitter hashtags from protestors. 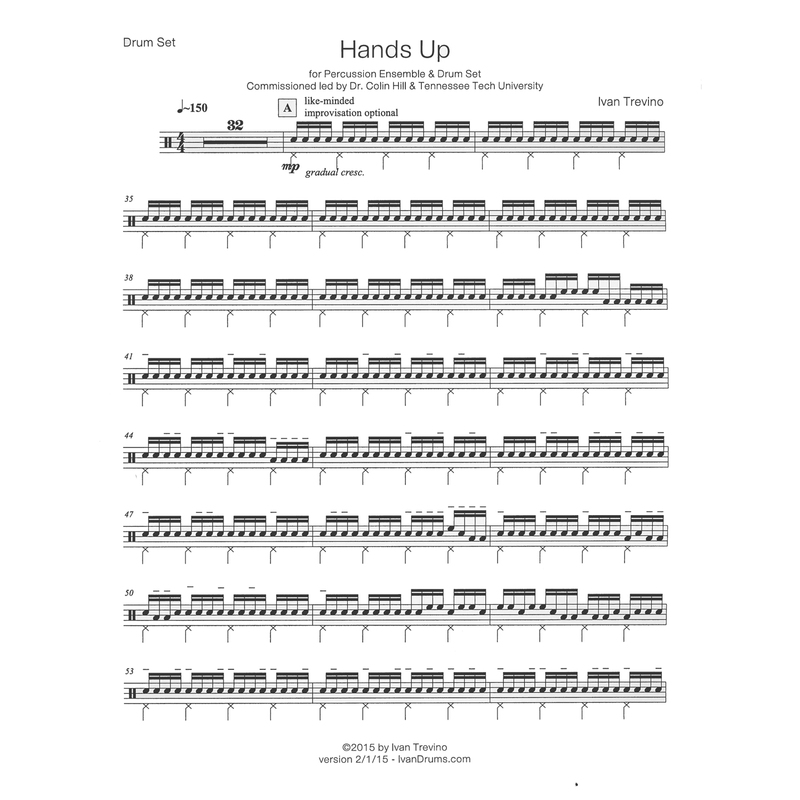 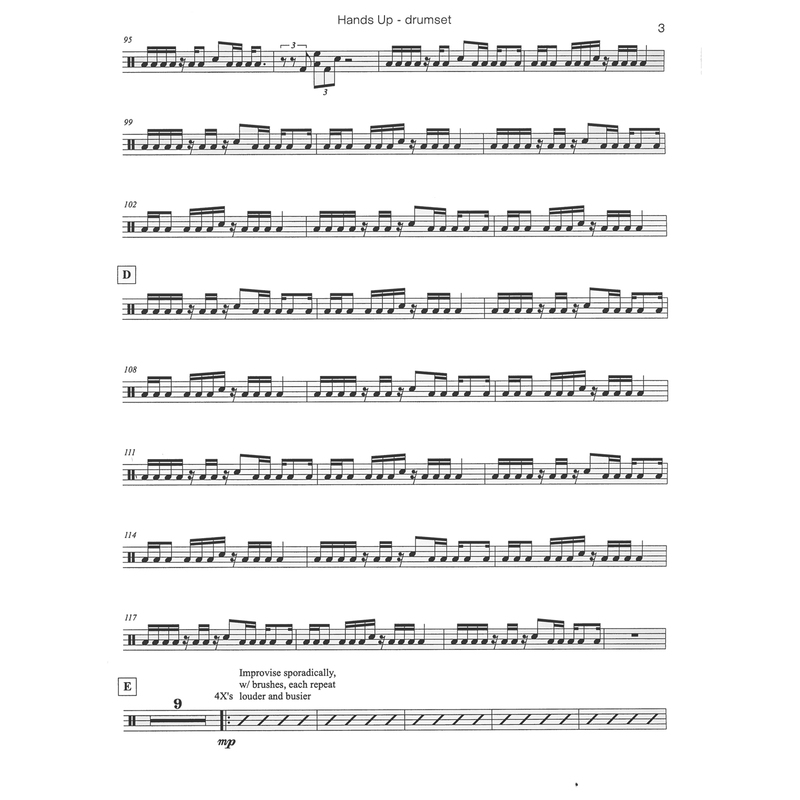 Written for a drum set soloist and 9 other percussionists, Ivan describes this piece as art/rock/rally music, heavily inspired by Zach de la Rocha and Rage Against the Machine.